Lava, a player in the Indian budget smartphone market, unveiled the Xolo X900, the first handset powered by Intel’s Medfield x86 chipset (formerly codenamed Penwell). 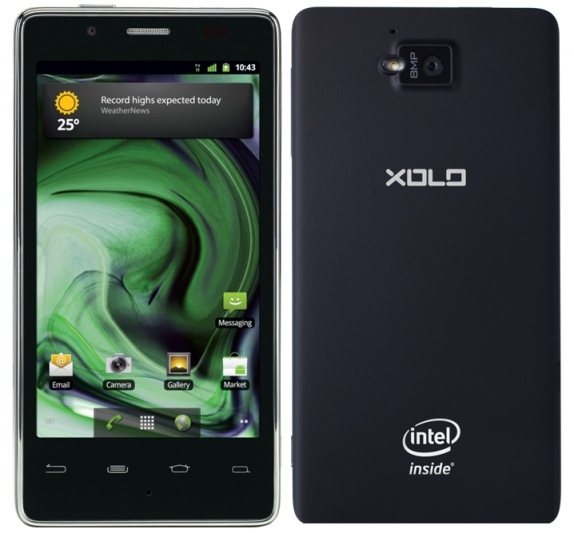 The Xolo runs Android 2.3.7 Gingerbread on top of a 1.6 GHz single-core Intel Atom Z2460 (Medfield) chip. Screen size is 4″, with 1024×600 resolution, 8-megapixel rear camera with flash, VGA front-facing camera, NFC support, HDMI output, and a 1640 mAh battery. The phone is based on Intel’s Medfield reference design, which UK carrier Orange is also using for its upcoming phone, codenamed Santa Clara. Pricing is unknown as of yet, but Lava says the Xolo X900 should hit the market — only in India — in April. Hands-on videos with the X900 after the break.